In this article, I am going to talk about one of the Windows tools I occasionally need to use fixing problems with computers. That tool is the Windows Advanced Boot Options menu. The Advanced Boot Options menu is generally used when trying to recover from an error on the computer or if the computer will not boot normally into Windows. A number of options are included as part of the advanced boot options. These options include commonly used options such as Safe Mode, Safe Mode with Networking, and Last Known Good Configuration as well as advanced options that I have rarely needed to use. The Advanced Boot Options, what they are used for, and how they are used will be discussed in more detail below. In addition to discussing the items on the Advanced Boot Options menu, methods for accessing the menu will be discussed. Once the Advanced Boot Options menu has loaded, the keyboard must be used to select the boot option needed. Why use the Advanced Boot Options? 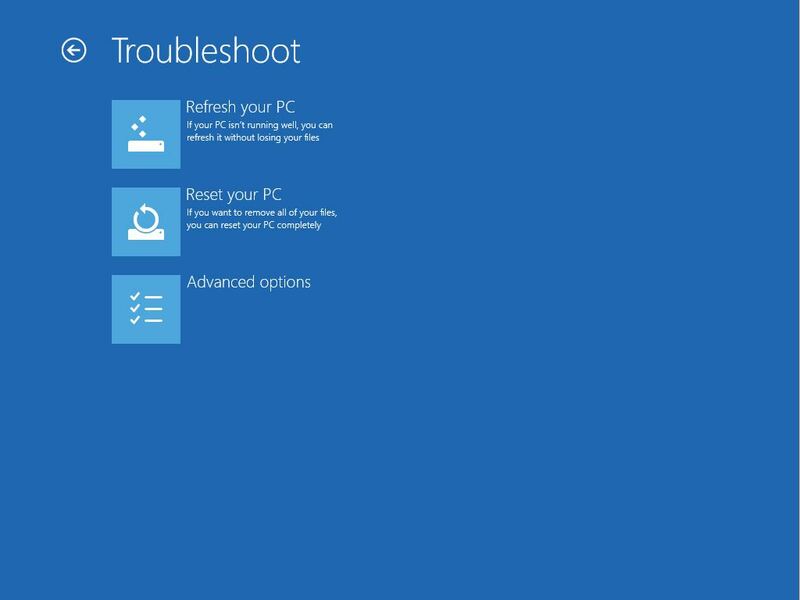 If Windows ever fails to boot normally, I recommend using the Advanced Boot Options to try to resolve the issue before reinstalling Windows on the computer as some issues may be repaired using these options. I have encountered several issues in which booting into Safe Mode, one of the Advanced Boot Options, and then rebooting into Windows normally was enough to fix the issues. Other times, I have had to troubleshoot the issue further using Safe Mode or one of the other advanced boot options. If viruses infects the computer, sometimes they can prevent computers from booting into Windows or running correctly. We have had virus issues at work in which viruses start services that cannot be stopped in normal Windows and we were been unable to clean the viruses off the computer until the computer was booted into Safe Mode. After it was booted into Safe Mode, we were able to run antivirus programs and clean the viruses from the computer. For some issues, outside help may be needed and if the computer will boot to Safe Mode, usually it will also boot into Safe Mode with Networking unless the issue with Windows involves the drivers for the networking device(s). In other instances, drivers or other software that were recently installed on the computer may prevent it from booting into Windows normally. When this happens, we use the Advanced Boot Options to resolve the issues. Usually, Safe Mode, Safe Mode with Networking, or Last Known Good Configuration, will be used to resolve the issues. These options, along with the other Advanced Boot Options, will be described in the next section. What are the Advanced Boot Options used for? As mentioned already, several options are available to try to resolve issues that are preventing the Windows operating system on a user’s computer from starting normally. There are five options common to all four operating systems. 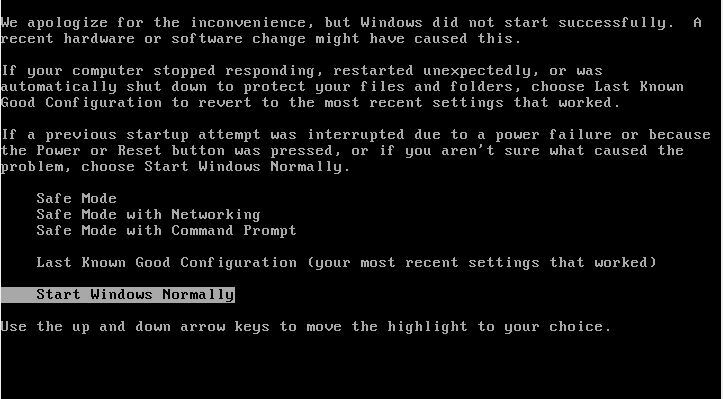 These options are Safe Mode, Safe Mode with Networking, Safe Mode with Command Prompt, Last Known Good Configuration, and Start Normally. The image below from Windows XP shows these five options. Windows Vista, Windows 7, and Windows 8 each have additional options. Three choices for Safe Mode are available. The first choice, Safe Mode, is a very basic boot up of Windows that uses generic Windows drivers from Microsoft instead of the drivers provided by the vendor. This option does not allow access to a network or the Internet which can be beneficial if the PC has an issue requiring Internet or network access be disabled prior to resolving the problem. The Safe Mode with Networking option also uses the same basic boot processes that Safe Mode uses but a generic network driver is added so that users can connect to their network or to the Internet. This option is generally beneficial to use if access to the Internet is needed in order to allow remote access to the computer. An example of using the Safe Mode with Networking option would be allowing a technician to remote in to the computer to fix a problem such as a virus or corrupt files that are preventing Windows from starting normally. The Safe Mode with Command Prompt option loads Windows to a command line window instead of starting a graphical user interface (GUI). This third Safe Mode option is more of an advanced function as knowledge of text-based commands is needed. The Last Known Good Configuration option is a good first option to try if changes to the operating system or drivers were recently performed and the computer is not booting normally after the changes were made. The Last Known Good Configuration does exactly what it sounds like it does. Windows loads the last system configuration in which the system booted normally. Windows is set up to count booting normally to be loading to the user’s desktop. If the problem with Windows occurs after the desktop has been loaded, the Last Known Good Configuration will not fix the issue. The Start Normally option is generally used for starting the computer in normal mode if it was accidentally booted into the Advanced Boot Options menu. This option also can be used if the computer was not shut down normally the last time it was used. When the computer automatically boots into the Advanced Boot Options menu as a result of this reason, using the Start Normally option should be tried prior to using the other advanced boot options. In addition to these five options used with all four operating systems, several more options are available in Windows Vista, Windows 7, and Windows 8. The image below from Windows 7 shows the new functionality added that was included starting in Windows Vista. Windows Vista’s only difference from the Windows 7 image is the name of the operating system. Other than that, the boot options are the same for both operating systems. Enable Boot Logging is used to track the processes used by the computer when it is booted to Windows. This information can then be analyzed to find where the boot up process is failing. The Enable low-resolution video option is used if a problem with the graphics driver is preventing the user from using the computer. This option allows a specific display resolution of 640 x 480 to be used to address issues with viewing items. Directory Service Restore Mode is only used if there is a domain (a specialized grouping of computers using a specific type of server). This option is used to reconnect computers to a domain. Debugging Mode is an advanced mode in which two computers are used. The working computer receives data from the non-working computer that is then used to fix the issue by analyzing the data using a program called a debugger. Debuggers are used to find problems in how a program was written. 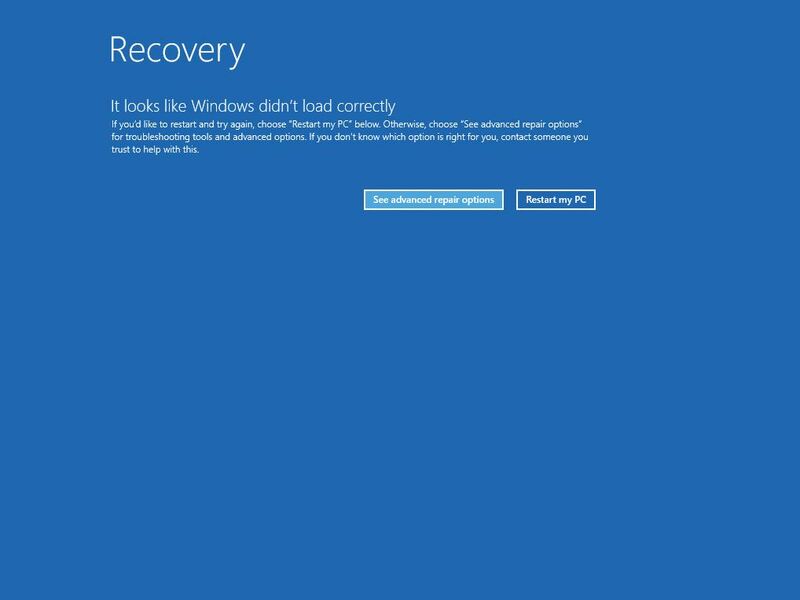 The Disable automatic restart on system failure is usually selected if the computer is experiencing Blue Screen of Death (BSOD) issues. Normally, computers are set to restart a BSOD occurs. This presents an issue in getting all of the information needed to research the BSOD. Using the Disable automatic restart on system failure option prevents the automatic restarts of the computer so that the information about the issue can be obtained. The Disable Driver Signature Enforcement option is used to allow drivers without a digital signature to be run. In newer versions of Windows, Microsoft has made signed drivers almost a necessity but some companies have hardware available without digital signatures. This option disables the requirement for the signature which can be beneficial in determining if a boot failure is from a hardware component or if the issue is tied to a driver signature. In Windows 8, Microsoft has removed the Directory Service Restore Mode and replaced it with the Disable early launch anti-malware protection option. Early Launch anti-malware protection is used to malware from installing as Windows loads to the desktop. Disabling this feature can be used to test if a driver or other file needed to start Windows is being blocked as malware. I would not recommend using this option unless you have an advanced knowledge of troubleshoot. Before I personally would try this option, I would try to boot into one of the Safe Mode options first so that I could run a virus and malware scan in case critical files for booting Windows have gotten infected. Disabling the early launch anti-malware protection could allow the computer to be further infected if the option is disabled and the computer is booting to the desktop. 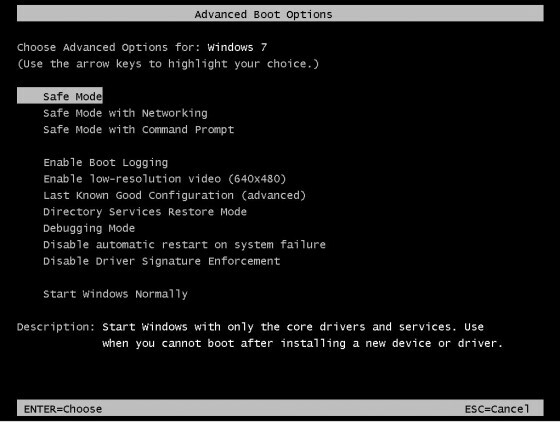 Accessing the Advanced Boot Options menu on Windows XP, Windows Vista, and Windows 7 computers is easy to do whereas Microsoft made accessing the Advanced Boot Options menu more difficult for Windows 8 users. For Windows XP, Windows Vista, and Windows 7, accessing the Advanced Boot Options menu is achieved by pressing the F8 key as the computer is booting. As the computer starts booting, an initial process called Power On Self Test (POST) runs to test the hardware. Once the POST has completed, press the F8 key repeatedly until the Advanced Boot Options menu loads. If the computer was not shut down normally the last time it was used, the computer may automatically boot to the Advanced Boot Options menu. Accessing the Advanced Boot Options menu is more complicated for Windows 8 users as Advanced Boot Options, called Startup Settings in Windows 8, is disabled by default. As such, some additional steps are needed to access the Startup Settings menu. 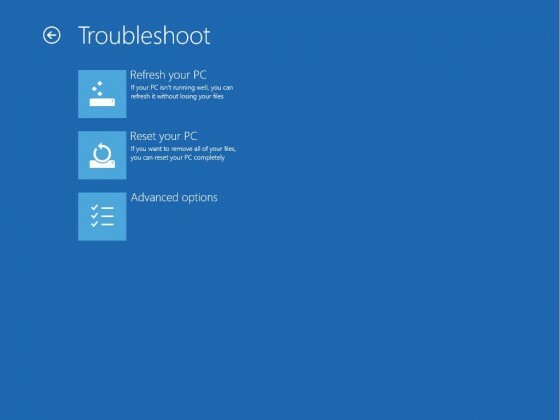 If a Windows 8 computer cannot boot normally, Windows 8 will try to automatically repair the problem as the computer is booted. If the automatic repair is unsuccessful, users have some additional options that they can try such as refreshing the PC or formatting the computer and reinstalling Windows. These options require that the Windows 8 installation software be available. Before trying either of these options, I recommend going into the Startup Settings menu and trying to recover from the problem using one of the options listed there. I have had to use this option recently as my laptop would not boot into Windows 8 while I was on vacation. Sometimes, issues can be resolved by booting into Safe Mode and then rebooting the computer into normal mode. That was the case with my problem. After booting into Safe Mode, I was able to reboot the computer in normal mode successfully and have had no further issues. The F8 option will not work for Windows 8 operating systems because of Microsoft’s disabling of the Startup Settings menu by default. 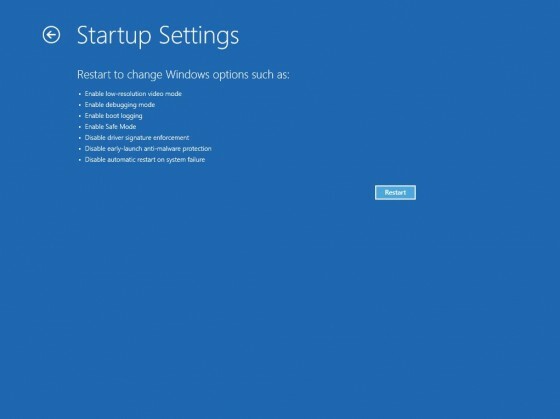 Accessing the Startup Settings menu using the above steps is a per-use situation. 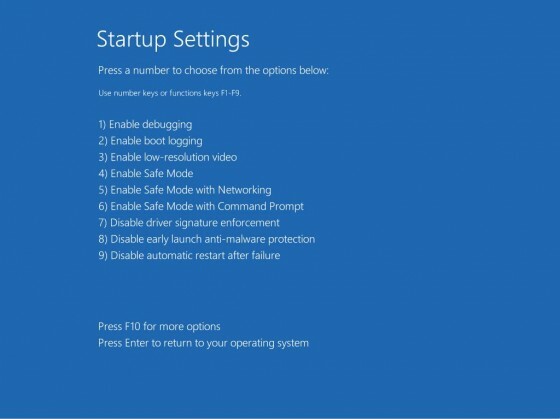 Each time booting into the Startup Settings menu is needed, the steps listed below will have to be used. One thing that I do want to mention is that the mouse can be used for selecting the option an all but the last screen. 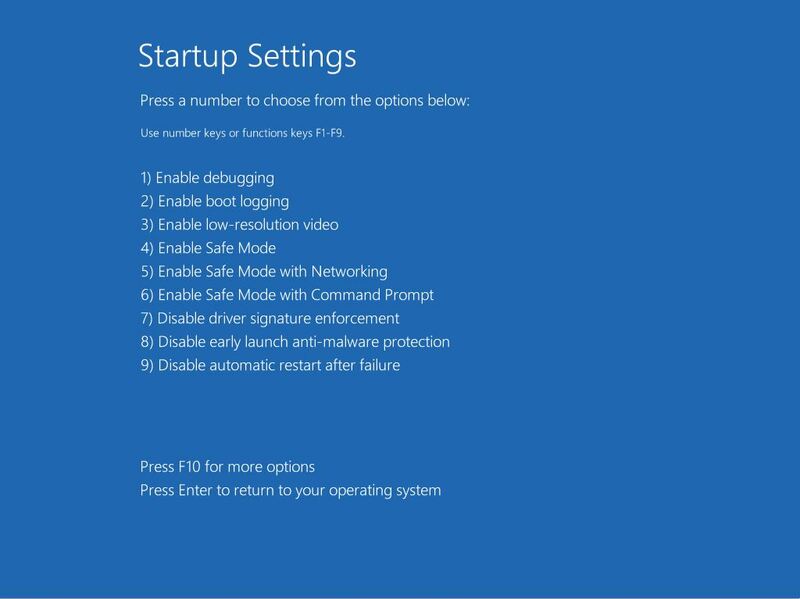 The Startup Settings screen requires the use of the keyboard like the other Advanced Boot Options menus require. 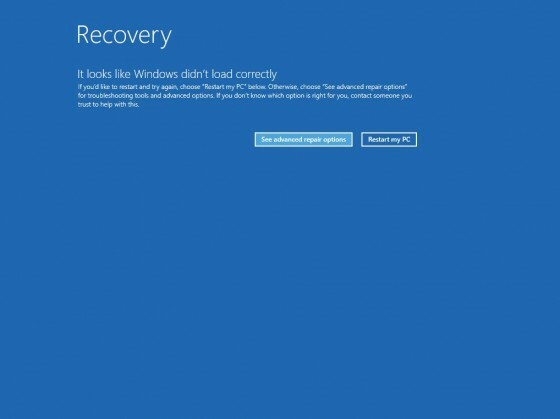 If the PC is not able to be fixed using Automatic Repair, it will boot into Recovery Mode as shown in the image below. Click on See advanced repair options. The next screen that loads has three options. Click on the Troubleshoot option’s button. The screen that loads lists three options. The three options are Refresh your PC, Remove Everything and Advanced options. Select the Advanced Options button. The next screen will have 5 or more new items listed. 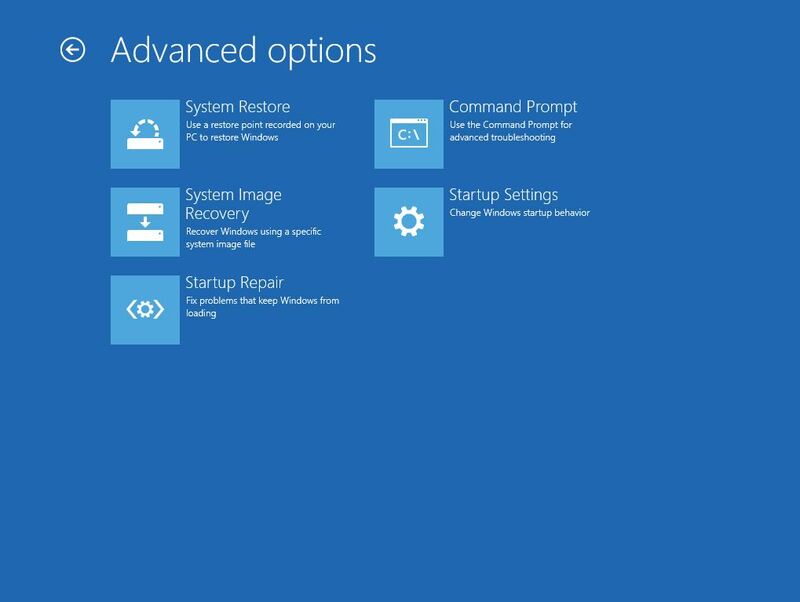 These options are System Restore, System Image Recovery, Startup Repair, Command Prompt, and Startup Settings. Some systems may also have an option for UEFI Firmware Settings (it may also be called BIOS Firmware settings depending on the computer’s motherboard configuration). Select the Startup Settings option. On the Startup Settings screen, click on the button titled Restart to reboot to the Advanced Boot Options menu. On Windows 8 operating systems, the Advanced Boot Options menu has been renamed Startup Settings but the options listed are the same as the Advanced Boot Options menu in previous Windows operating system versions with the one exception described earlier. On this screen, please use the function keys to select the boot option needed. The Advanced Boot Options can provide a good way to resolve issues with computers when the right options are used. Hopefully, the information in this article will help if you ever need to use these functions. I do want to provide one warning about using these tools. If you are unsure of what the specific option will do, please research it in more depth before trying the option.